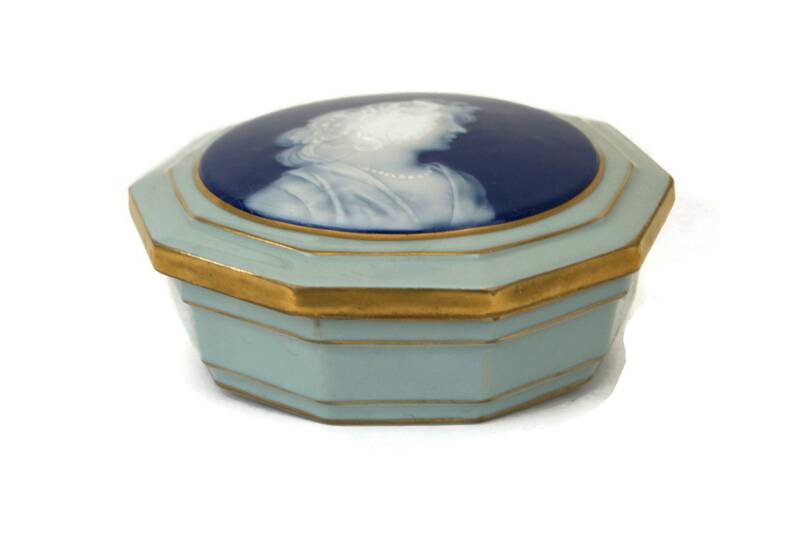 A beautiful vintage Limoges porcelain jewellery box dating to the 1920's. 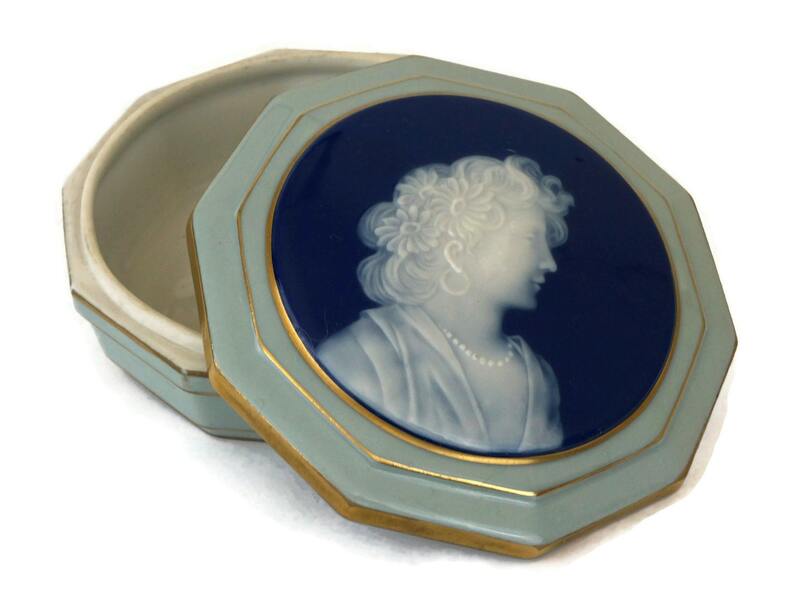 The lid features a charming cameo portrait of a lady in a classical pose. 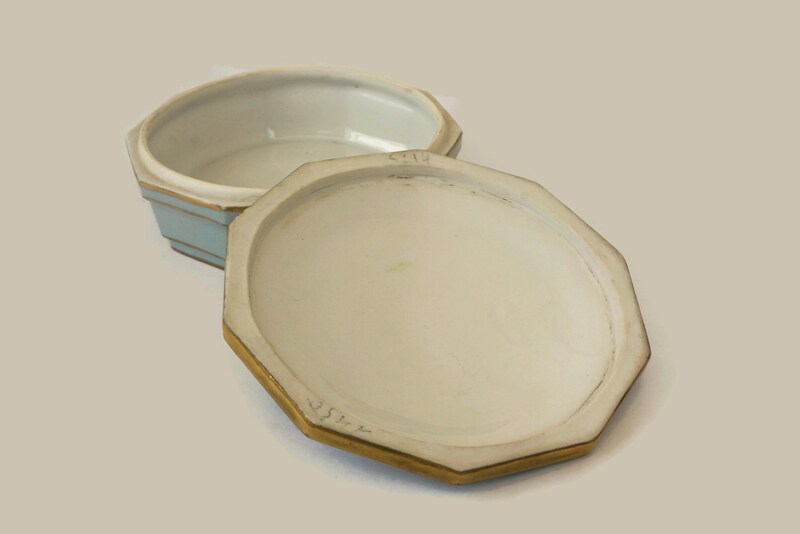 The ceramic trinket dish has an elegant geometric form and thee exterior has been glazed in a shade of pastel blue with gold tone accents. 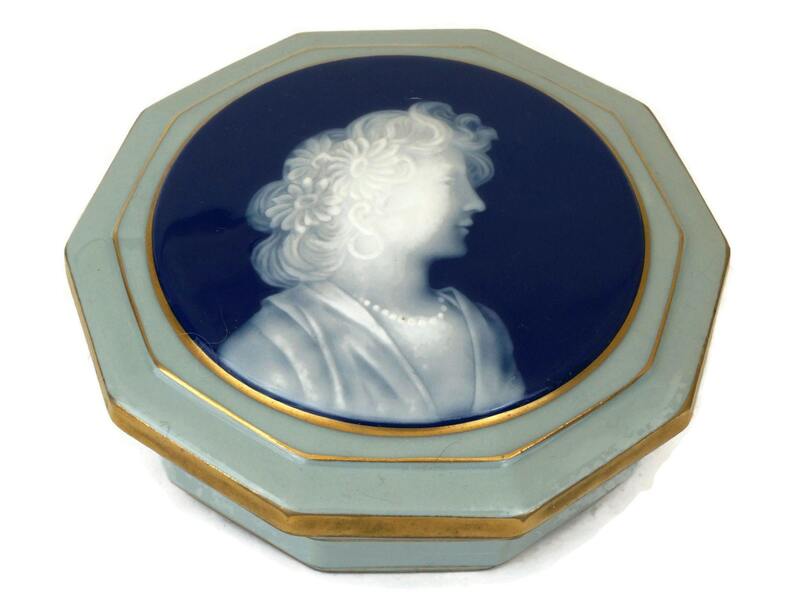 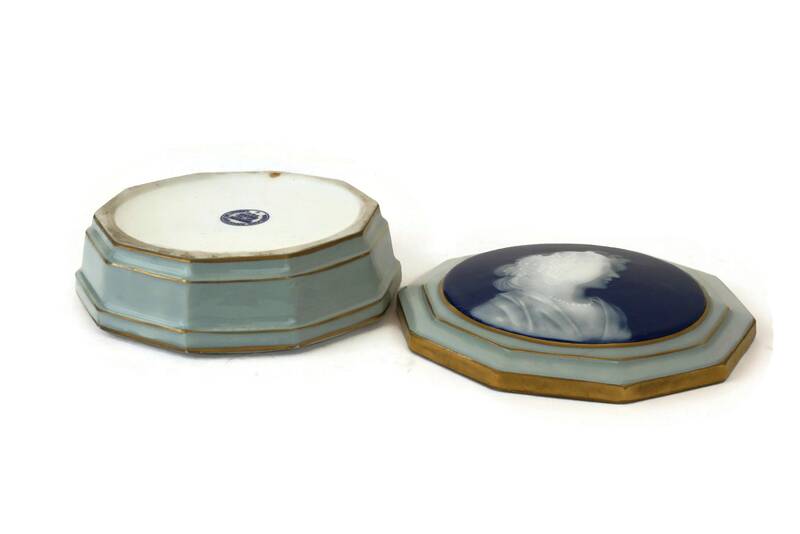 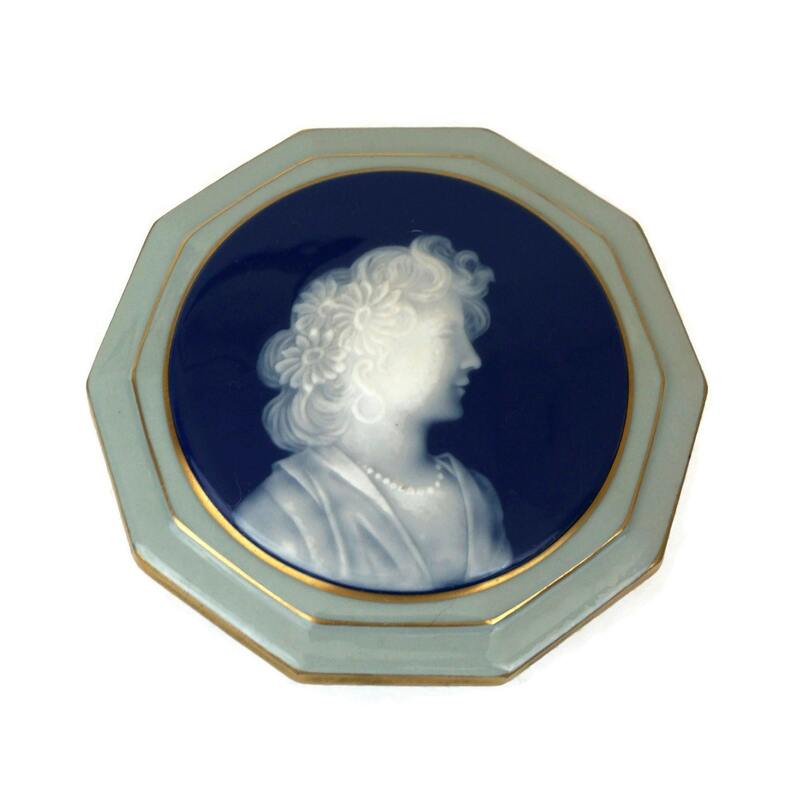 The decorative medallion on the lid is dark cobalt blue and features a raised relief portrait in white glaze. 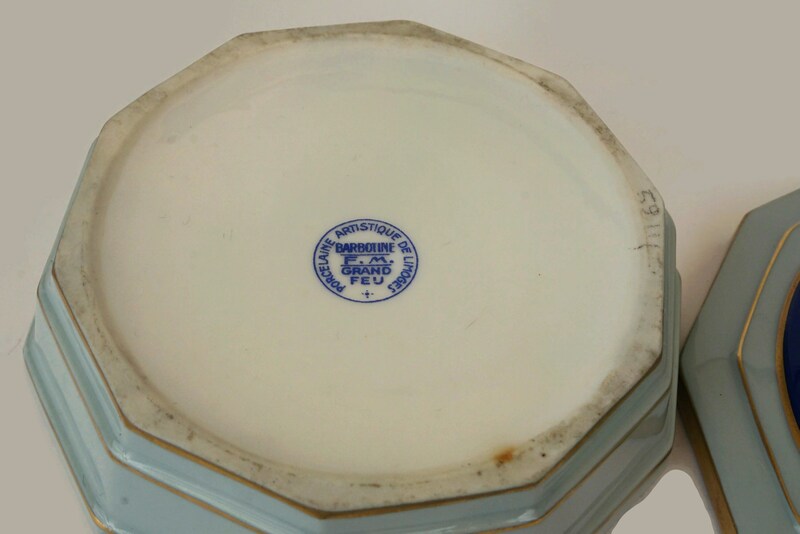 The underside of the French jewellery box has been stamped with the maker's mark . 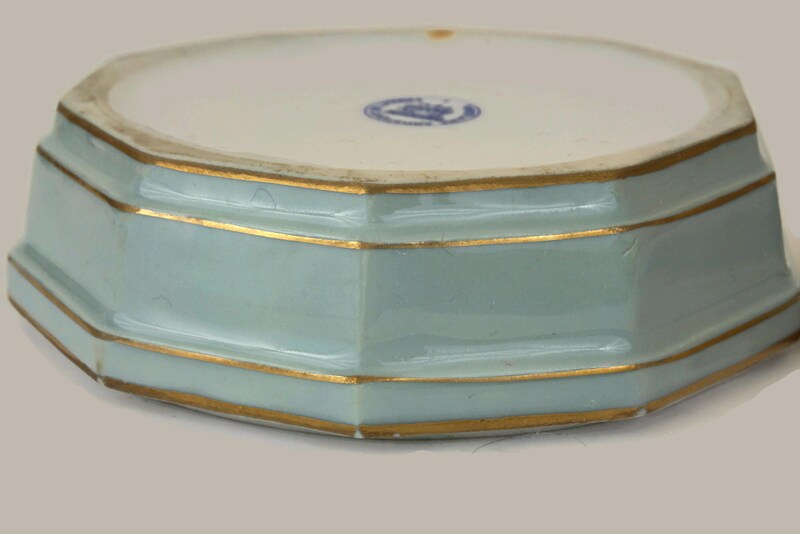 (13 cm x 5 cm). 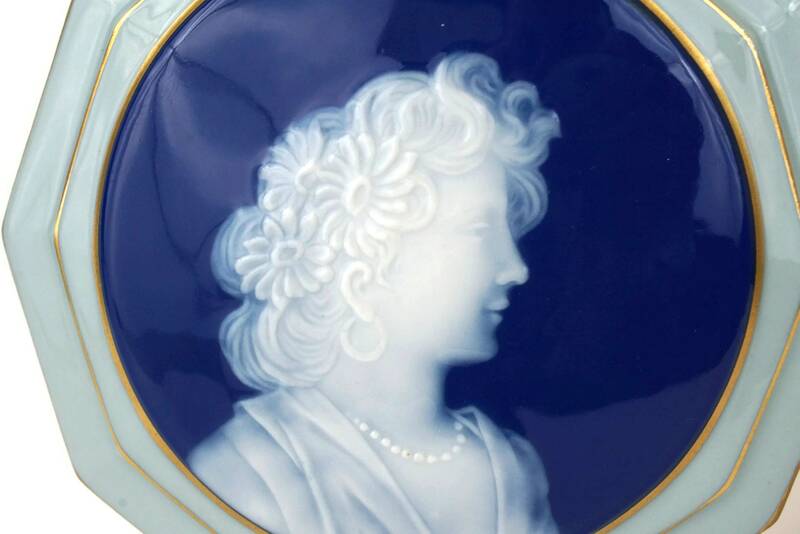 The vintage Limoges porcelain dish is in very good condition with no cracks or chips. 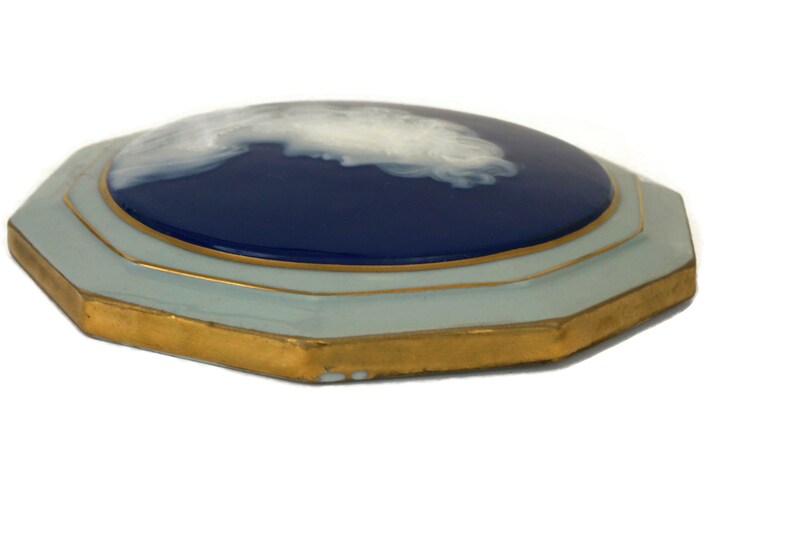 There are light flakes and rubbing away to the gold accents in places.